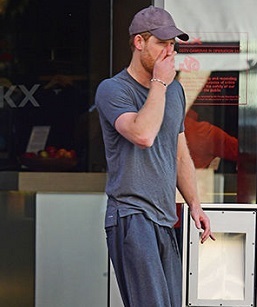 Prince Harry has dropped a few lbs, but it's hard to know because you could walk right past him and never know he's a prince. 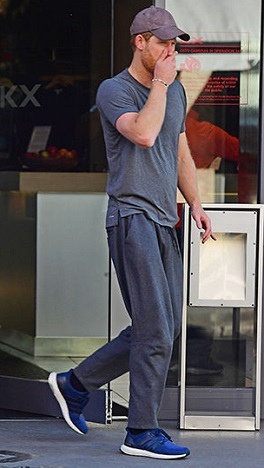 Harry was leaving a gym in Chelsea, London for his workout outing, accompanied by a protection officer. The red beard is clearly a clue, but still you might walk pass him and might not recognise him. Between, his bracelet has become kinda famous, so for the Harry aficionados it could be a giveaway.